Tip: If you really have your heart set on eating at a particular restaurant, it’s important to make your reservations 180 days from the start of your Disney vacation. Also, be flexible. Traditional dinner times are harder to come by. If you can, opt for an early or late dining reservation. 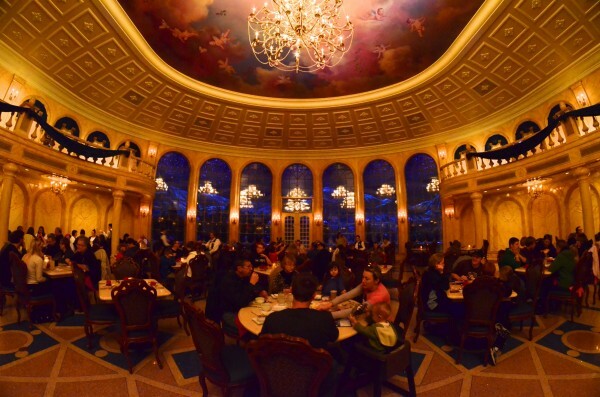 Bonus Tip: The menu at Be Our Guest offers American cuisine with a French twist. This can be off putting for picky eaters especially kids. Before your trip print out a copy of the menu . Sit with your kids and talk to them about the menu choices. Answer any questions they might have about some foods they might not have seen before. Help them decide what they will eat ahead of time so there are no surprises when you dine.